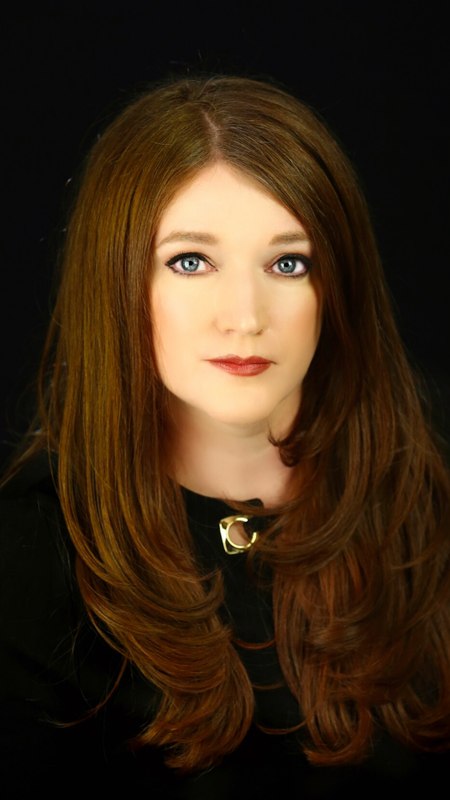 Morgan Brice is the romance pen name of bestselling author Gail Z. Martin. Morgan writes urban fantasy male/male paranormal romance, with plenty of action, adventure and supernatural thrills to go with the happily ever after. Gail writes epic fantasy and urban fantasy, and together with co-author hubby Larry N. Martin, steampunk and comedic horror, all of which have less romance, more explosions. Characters from her Gail books make frequent appearances in secondary roles in her Morgan books, and vice versa. Taya’s just been named alpha-in-training. First order of business: avenging her twin brother’s death. When Cord connected a rival pack to the disappearances of humans, he paid the ultimate price. Now it’s up to Taya to pick up where he left off and find justice for those who have been harmed. As she closes in on her brother’s murderer, the threats only escalate. He wasn’t the only target, and now everyone she loves is in danger, further fueling Taya’s need for revenge. With the help of an irresistible shifter named Liam, they set out in search of the only witch coven strong enough to set things right. Only Taya isn’t sure who to trust and if she doesn’t decide soon, she could lose not only her heart, but the people she loves most. 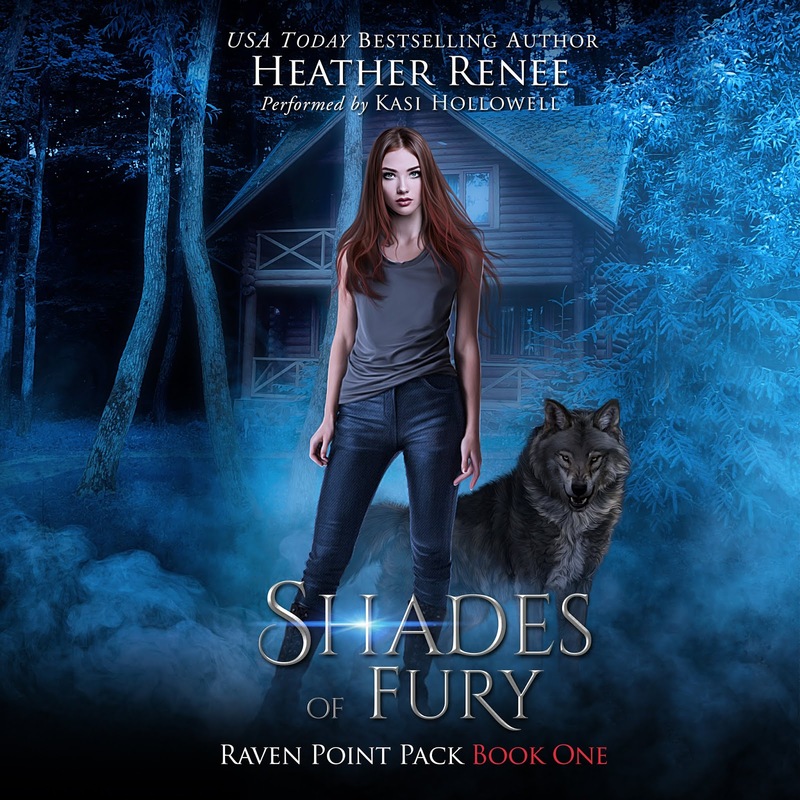 Heather Renee is a USA Today Bestselling author who lives in Oregon. 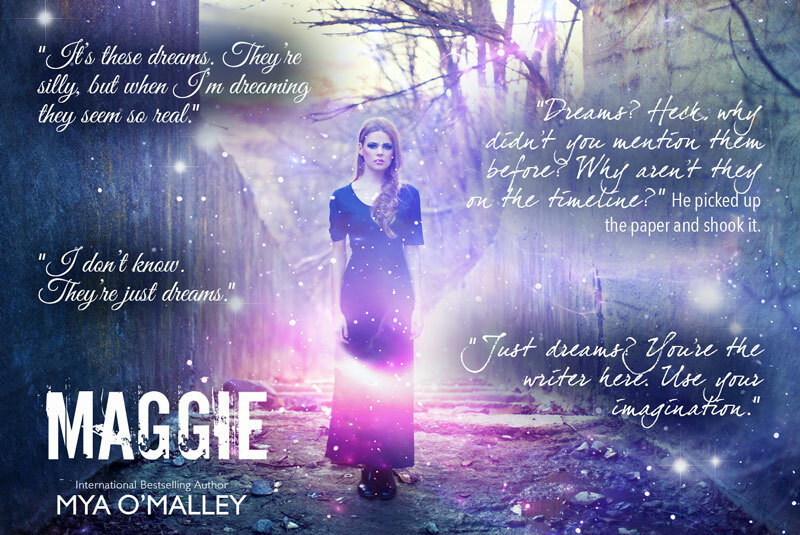 She writes Urban Fantasy and Paranormal Romance novels with a mixture of adventure, humor, and sass. Her love of reading eventually led to her passion of writing and giving the gift of escapism. If you’ve faced family hardship, are open for adventure, or desire a journey that leads from chaos to calm, this book is for you. 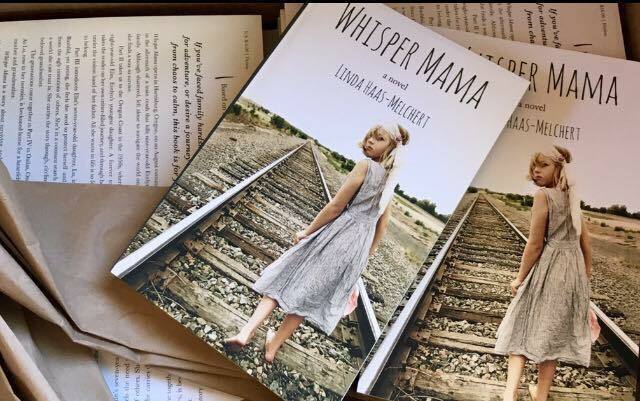 Whisper Mama opens in Harrisburg, Oregon, on an August evening in 1925 in the aftermath of a train crash that kills nine-year-old Evelyn Castle’s family. 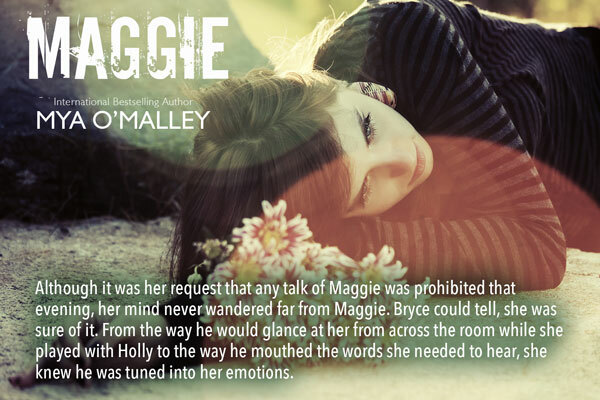 Although shattered, left alone to navigate the world on her own, she finds a way to survive. Part II takes us to the Oregon Coast in the 1950s, where we meet eight-year-old Elin, Evelyn’s youngest daughter. A forever tomboy, she takes the reader on her own critter-filled journey, and through her struggles under the violent hand of her father. All she wants in life is to feel love and to belong. Part III introduces Elin’s seven-year-old daughter, Lu, in the 1960s. Bashful, yet strong, she feels the need to protect herself and her siblings from the ugly intentions of others. She’s in a constant search for calm, for a world she can trust in. She carries the story through, circling back to her beloved grandmother. The generations come together in Part IV in Dallas, Oregon, in 1985. 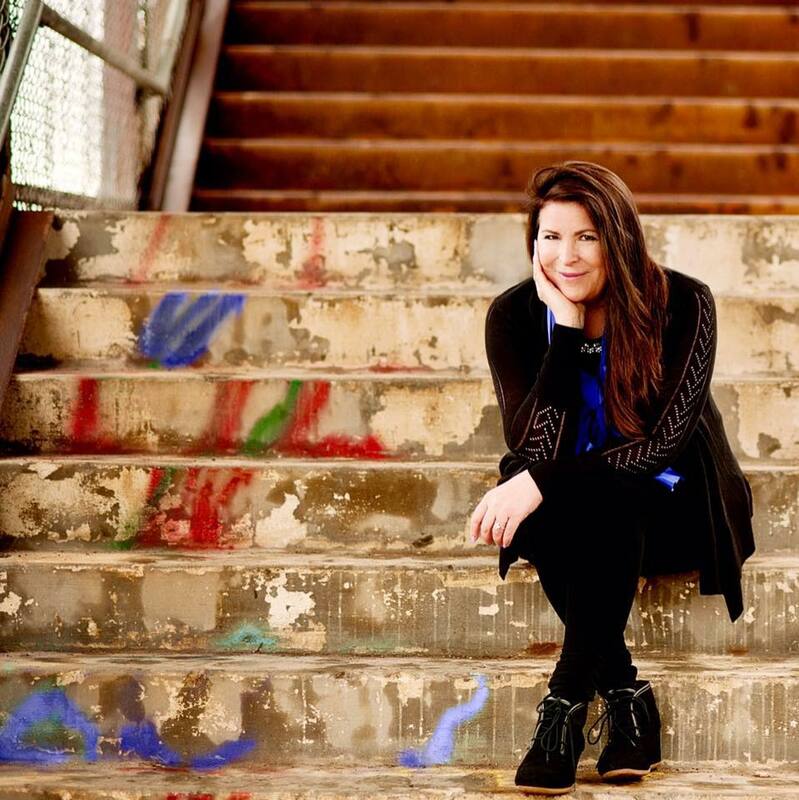 As Lu, now in her twenties, is beckoned home for a heartfelt visit with her mother and grandmother. 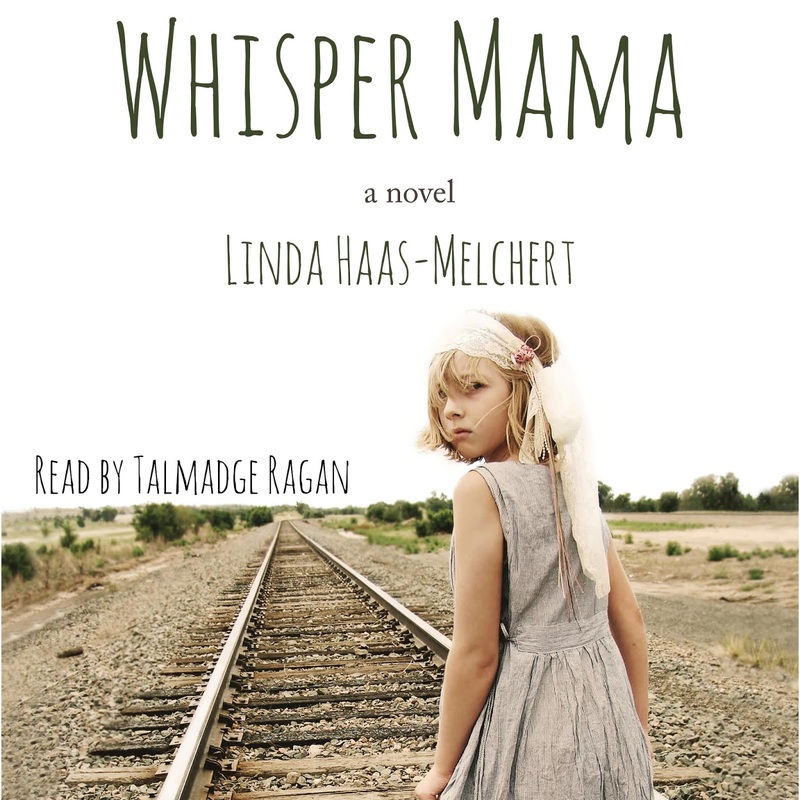 Whisper Mama is a story about surviving, and finally knowing when it’s time to go. 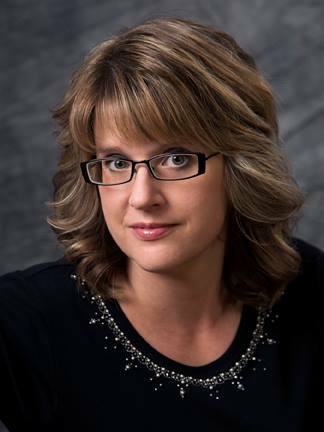 Linda Haas-Melchert is an author and artist residing in Anchorage, Alaska. Her professional background is filled with all things travel. First, a flight attendant, then an agent, a general manager, which soon evolved into a VP of Marketing position in wholesale for international travelers. After a seek for balance in a busy life bubbling over with work and family, Linda eventually circled back to her love of flying. She’s always known she would write a story. 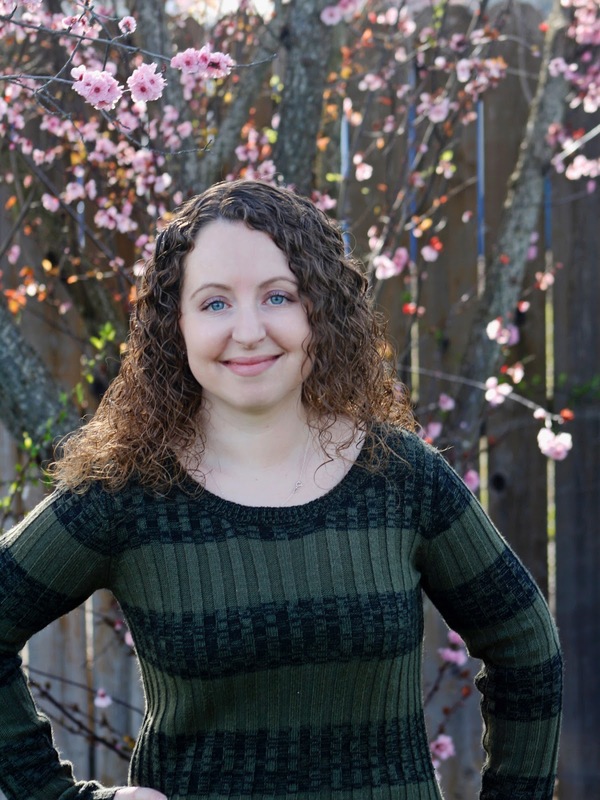 Realizing her first novel, Whisper Mama, has sparked her entrepreneurial spirit, so much so, that she’s planning her second novel, Wing Girl, for release in 2020. Her entrepreneurial effort speaks to her philanthropic desires resulting in the creation of Whisper Mama Gives, whispermama.org; a feeder organization which works closely with nonprofits in support of children and families in counseling. Her message to you: One step at a time; soon you’ll be flying! The story stands-alone, but has a loosely linked sequel. 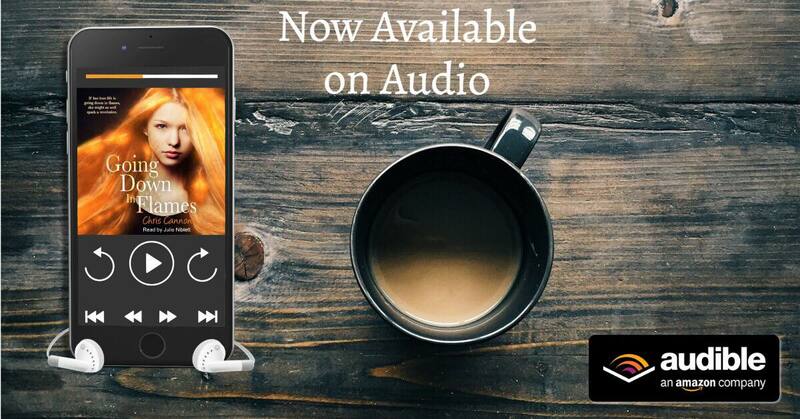 An audiobook is in production for that. Adam and Luc used to be close. At least they were before Luc distanced himself from Adam at fourteen, then eventually left home. Adam never got over the sting of betrayal, or the loss of his one-time best friend. When Luc is invited back home to help get his parents’ failing dance school back on track, Adam isn’t sure he can cope with having his stepbrother back in his life. Especially when he discovers Luc’s decade old secret. Luc left home because he was sure no one would understand that he had fallen in love with his stepbrother. Convinced that the years of distance he has put between them will have erased his desire, Luc doesn’t hesitate to return home to help the business that means everything to his parents. Confronted by Adam once more, Luc’s past feelings re-awaken. But will revealing his true feelings to Adam heal the rift between them, or drive them even further apart? 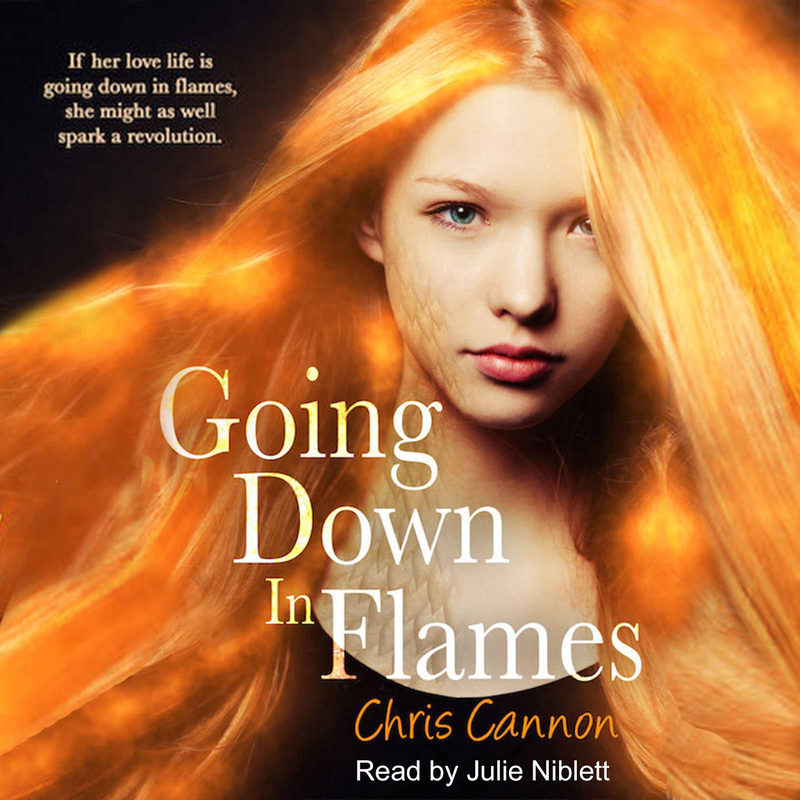 Chris Cannon is the award-winning author of the Going Down In Flames series and the Boyfriend Chronicles. She lives in Southern Illinois with her husband and several furry beasts. She believes coffee is the Elixir of Life. Most evenings after work, you can find her sucking down caffeine and writing fire-breathing paranormal adventures or romantic comedies. You can find her online at www.chriscannonauthor.com. Life has not always been kind to Shannon Dupree. On the outside, he’s carefree and fun loving, but when it comes to his past, he’s evasive and secretive. Running away from emotionally bereft parents at just 15, Shannon escapes life with them but steps into the waiting arms of the devil. Rory Landers is a rising star at the Bureau. His personal life, however, is nothing to write home about. He hopes to take his limited relationship with Frank Moore to the next level when they finally solve the Langford murder case, but that doesn’t turn out as planned. On the plus side, he meets free-spirited college senior Shannon Dupree. Rand Davis finds himself 40-something and single when his partner of more than a decade is unfaithful. Taking over the Cold Case Squad frees up some of his time, and Rand welcomes newfound friendships within the Langford-Moore family circle. He thinks relationships are not in the cards for him until he meets an agent with an attitude and a vivacious blond that make him want so much more. Past, present, pain, and suffering collide, ushering in the possibility of a life and love worth fighting for. Although their personalities couldn’t be more different, their three hearts beat the same. 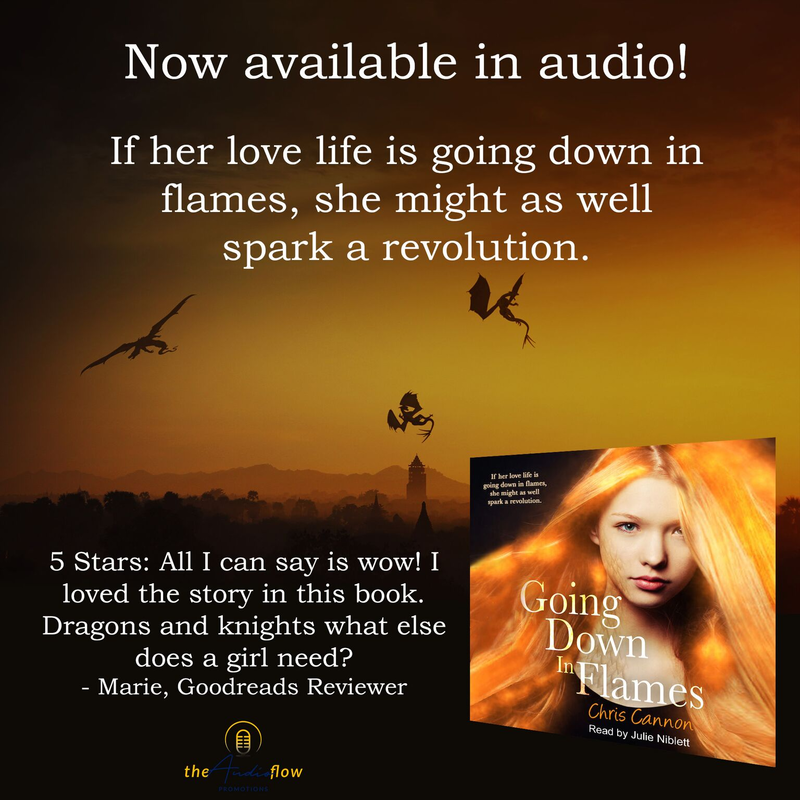 Shannon, Rory, and Rand learn the definition of love, commitment, and strength, and if they allow themselves, the trio will find all that and more – in each other. NOTE: This is the sequel to Survivor. The stories should be heard in order. Heart hammering in his chest, hands shaking, Shannon handed the attendant his ticket. The light on the scanner turned green and beeped, and he almost wept with joy. “Enjoy your flight, sir.” He nodded, took the piece of paper, and stuffed it into his jeans pocket, forcing himself to walk the long hallway to the plane and not run for his life, which was basically what he was doing. By now, Bruce would know what Shannon had done—that he wasn’t at work and he wouldn’t be coming home. It had taken a year of patience and planning, convincing Bruce that he truly wanted to volunteer three days a week at a local homeless shelter. Then he saved every spare penny he could collect to purchase his ticket to freedom. His steps faltered when he remembered the last time he’d tried to leave. It was the angriest he’d ever seen Bruce, and that was saying a lot since the last three years of his life were consumed by his once-gentle lover’s anger and twisted pleasures. The early stages of their relationship were the happiest times of Shannon’s life. Bruce was gorgeous and kind; he listened to Shannon—seemed to support his aspirations to become a dancer and make a better life for himself far away from the home he shared with his emotionally distant parents that paid more attention to alcohol and arguments than to their fifteen-year-old son. Bruce was kind and romantic, luring him with promises of love and a life where they could be partners, equals. And Shannon fell for him…hook, line, and sinker. He sucked in a ragged breath, barely biting back the scream clawing its way up his throat when someone bumped into him from behind. “Oh my, so sorry.” Shannon looked over his shoulder, nodding at the little old lady that grinned up at him. “Once the suitcase starts rolling, it’s hard for me to stop it sometimes.” She chuckled. “It’s okay, no worries.” He exhaled sharply, the tension in his shoulders slowly releasing. He couldn’t be so jumpy; it might draw attention he desperately needed to avoid. But he couldn’t let his guard down either. Bruce and his driver, Tuan—also known as Shannon’s warden—could very well be in the terminal that very minute searching for him. Willing his body to relax, Shannon managed to put one foot in front of the other until he was tucked away in his window seat, his backpack that held everything he now owned under the seat in front of him. The last thing he expected was the flood of emotions that slammed into him the moment the plane was in the air: Relief at not being caught this time and dragged back to Bruce’s condo—to be beaten and starved for weeks until he begged for mercy and promised he’d never try to leave again. Sadness for the minuscule amount of love he rarely received that he was now losing. Panic, frustration, and self-loathing…why? Now that he was finally close enough to the light at the end of the tunnel to flip the switch, did he really have the strength and courage to do so? How would he live? Hell, where would he live? He was an eighteen-year-old with no job, no home, no family or friends, and the few thousand dollars he’d managed to save over the past twelve months wouldn’t go far. He’d left his wallet in his locker at work with everything except his ID and Social Security card still inside. He’d removed the Sim card from his iPhone, stomped on it, and then flushed it down the toilet. His backpack held several changes of clothes, toiletries, a well-worn copy of Pride and Prejudice, and a cheap knockoff MP3 player he’d picked up at a shop in the airport since he’d left his iPhone in the cab, on purpose. Reaching up, Shannon pulled the hood of his jacket over his head and leaned his forehead against the cool glass window, staring down at the specks of light as the plane climbed higher into the sky, carrying him farther away from Seattle. Tears blurred his vision, but he welcomed them. Finally, he was free. Taylor Langford’s world is torn apart when he is only thirteen years old—his parents killed, leaving him alone and orphaned. With no living relatives, he’d certainly be another statistic if not for the intervention of the policeman who found Taylor in the crawl space where his mother hid him that fateful night. Despite the tragedy and resulting anguish in his life, Taylor knows how lucky he is. Frank Moore is a rookie with the Dallas Police Department when he and his partner answer a call in Devonshire, one of the city’s more affluent neighborhoods. They think the young boy in various pictures throughout the home has been kidnapped until they find him, shaken but alive. Officer Moore recognizes the pain in the kid’s eyes, having lost his own mother to cancer when he was just a boy. He steps in, making sure Taylor is placed with a loving foster family. Over the years, Frank becomes a permanent fixture in Taylor’s life. A decade later, the case remains unsolved and the once gangly, uncertain teenager is now a college graduate who knows exactly what he wants. He’s coming home to the man that helped mold and shape his life, the man he’s loved for as long as he can remember, Frank Moore. But Taylor isn’t the only person returning to Dallas, and while Frank is distracted by his own conflicting feelings and the new bond growing between the two, the past creeps up on them, determined to finish what was started ten years earlier. I hope you enjoy Frank and Taylor’s story. It’s been a long road to get them settled, but I’m happy with where this story has taken them. When I started this book, the intent was to write a stand-alone story, but that has changed. Characters continually evolve throughout the writing process, and there are several characters in the book that want to tell their story. I’ve grown especially fond of Rory and I can’t wait to write his book, which will take us back to when he first joined the Bureau, and continue on to his happy ever after. 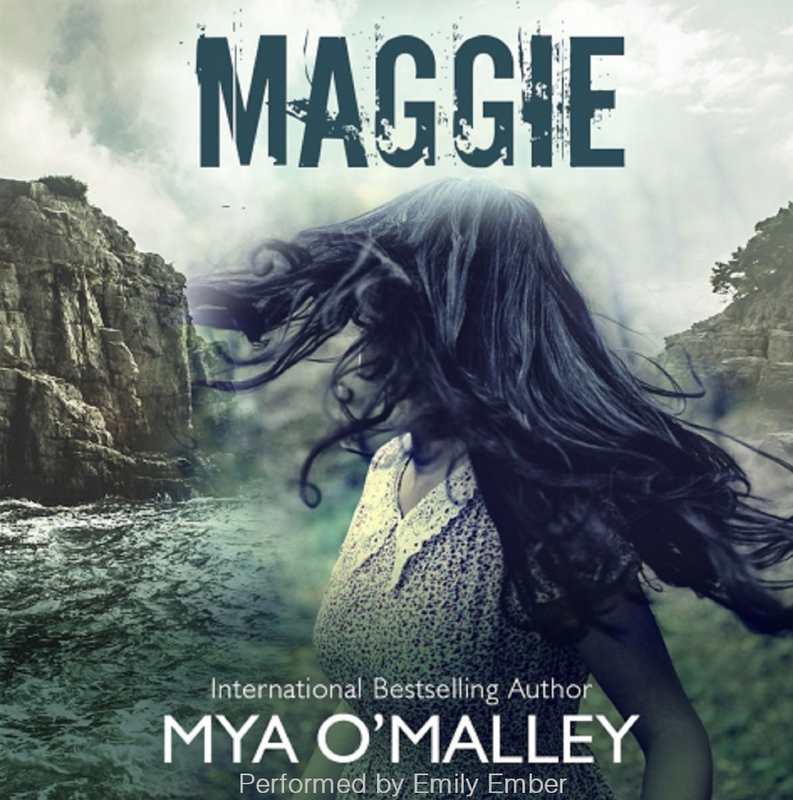 Please be advised: This is a May/December romance, and as in life, there are sexual situations that take place prior to the main characters finding their way to one another. This is not gratuitous; it is meant to show character growth and self-realization. There is absolutely no cheating.